Police investigating the murder of 23-year-old Reece Ottaway have today confirmed he died after being stabbed. Reece Ottaway, aged 23, from Daventry, was fatally wounded during an incident at Cordwainer House, Byfield Road, at 1.20am on Friday. He sadly died at the scene. Seven bunches of flowers and a heart-shaped blue balloon were left by the railings where the incident took place. “The investigation has been fast-paced and this morning (Tuesday, February 5) four men have appeared in court charged with murder. Jordan Kimpton, 20, of Sam Harrison Way, Duston, Alfie Drage, 20, of Clover Street, Upton, Adison Smith, 19, of no fixed address and Ethan Sterling, 21, of Baukewell Court, Lumbertubs, appeared at Northampton Magistrates’ Court today charged with murder, GBH with intent and conspiracy to commit robbery. 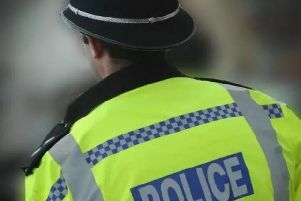 Four men and four women who were also arrested in connection with the incident have also been released with no further action taken.